I have tried a lot of different notebooks, notepads and papers. These are by far my favourite. Smooth as silk, no feathering but lovely shading with the right inks. Made in France since the 30's, hope they never stop making it! This is the second one I have purchased. Love the thick paper quality. I really like the ivory coloured pages. The dot grid (5×5) is a unique ruling developed as a functional alternative to lines and graph rulings. 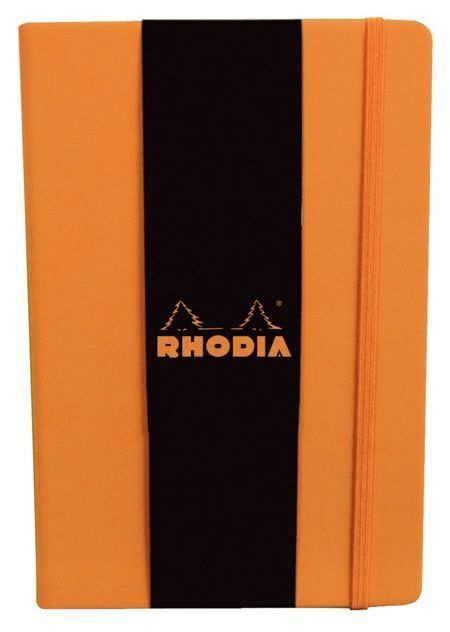 The sturdy cover is finished in a smooth, soft finish Italian leatherette, is embossed with the Rhodia logo on the cover, and comes with an elastic closure.